Avene has been one of my go to skincare brands for a couple of years now but I had never tried any of the masks before. I had been really excited to start using the Tolerance Mask as it is perfect for dehydrated skin and mine has been so uncomfortably dry recently that this couldn't have come at a better time! 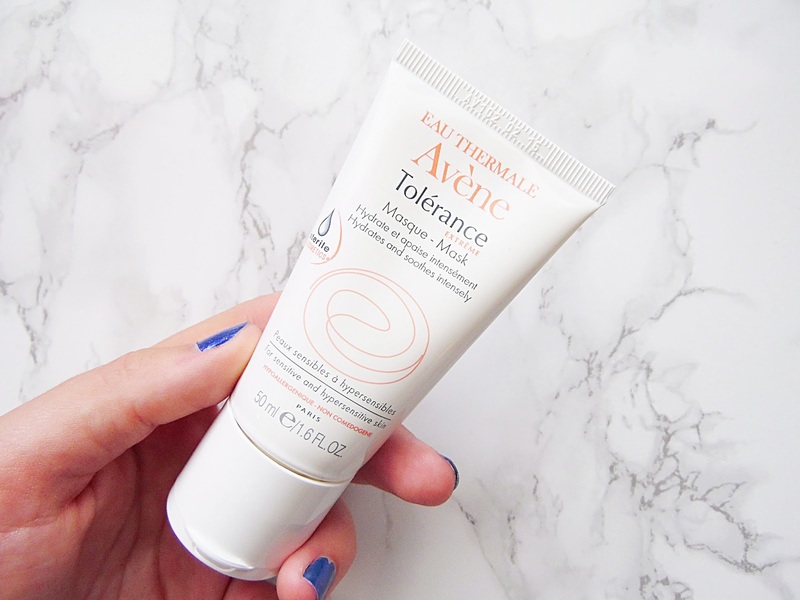 The Avene Tolerance Mask is 50ml size is suitable for all skin types and has a soothing yet calming formula. It contains only seven essential ingredients to intensively nourish and hydrate the skin while allowing the skin to breathe. While this mask is suitable for all skin types it is also suitable for any level of sensitive skin and is going to leave the skin feeling replumped and comforted. 92% of women who used this mask said they their skin was left intensely soothed when interviewed. I have been using this mask once a week, sometimes twice if I feel my skin is feeling extra dehydrated. This is to be applied to cleansed skin, I like to use a thick layer and leave it on for five to ten minutes. Once removed my skin always feels a million times better! Each time it feels intensively nourished and plump, I have been using this a lot recently as I have been spending time out in the sun and my skin had been feeling dry so this is always the boost that my skin needs. I do have quite sensitive skin and this has been working wonders for my skin and I have had no issues with it since introducing it into my skincare routine. I struggle with quite a bit of redness on my skin and I found that this mask is extremely soothing and calming to the skin and once I remove the mask, my redness is always reduced. One thing I really like about this product besides the amazing things it does for my skin is the packaging. The packaging is such a clever idea and I have no idea why it isn't used more! The packaging is completely sterile and no air can get in or out when you squeeze out the product. Because of this the formula has no preservatives or parabens which is why the ingredients list is so small and simple! 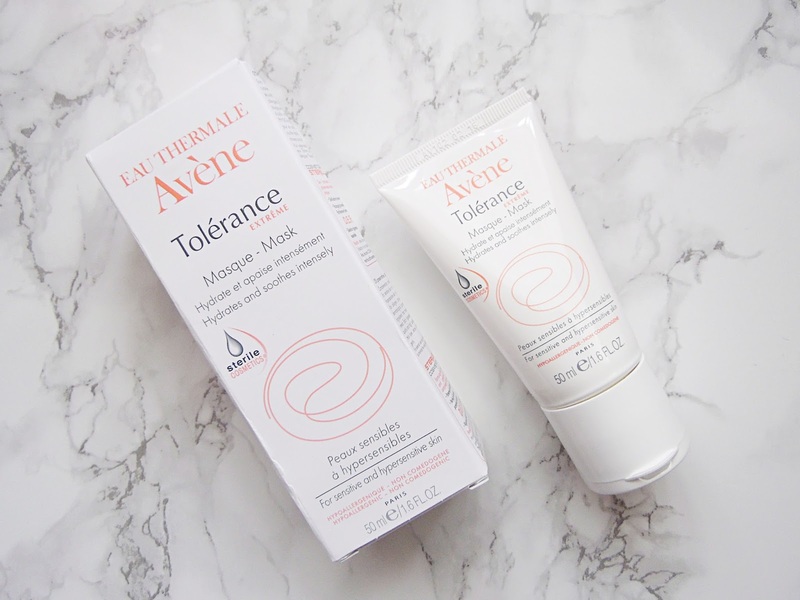 The Avene Tolerance Mask retails for £15 - HERE. 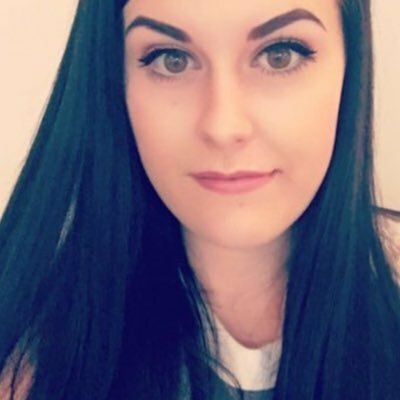 The post contains a press sample, all opinions are my own.